Milne Bay is a province of Papua New Guinea. Its capital is Alotau. The province covers 14,345 km² of land and 252,990 km² of sea, within the province there are more than 600 islands, about 160 of which are inhabited. The province has about 276,000 inhabitants, speaking about 48 languages, most of which belong to the Eastern Malayo-Polynesian branch of the Austronesian language family. 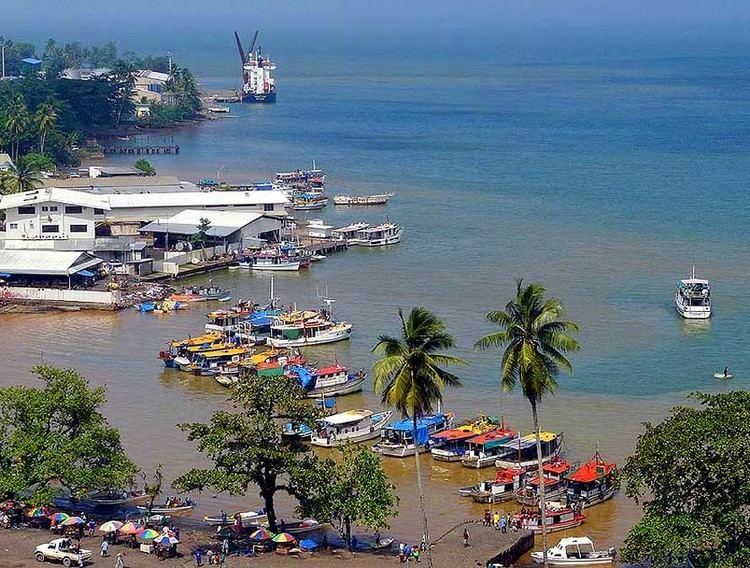 Economically the province is dependent upon tourism, oil palm, and gold mining on Misima Island; in addition to these larger industries there are many small-scale village projects in cocoa and copra cultivation. The World War II Battle of Milne Bay took place in the province. Culturally the Milne Bay region is sometimes referred to as "the Massim," a corruption of the name of Misima Island. Massim societies are usually characterized by matrilineal descent, elaborate mortuary sequences and complex systems of ritual exchange including the Kula ring. From Island group to Island group and even between close lying islands, the local culture changes remarkably. What is socially acceptable on one island may not be so on another. The coral reef systems of Milne Bay are some of the most biodiverse in the world, and as such attract equal attention from dive operators and conservation groups. The DEntrecasteaux Islands still have volcanic activity, especially around Dobu and Fergusson Islands. The waters from the Amphlett group to the Trobriand Islands are poorly charted, and, as a result, are rarely visited by tourists or yachts passing through. On the other hand, the Louissiade Archipelago is a stopover for yachts travelling around the world and ones visiting from Australia,. However, the area sees few general tourists. The gold mine at Misima is no longer operational. Mining ended at Misima in 2001, with stockpile milling continuing into 2004. During its life, Misima has produced over 3.7Moz of gold and 18Moz of silver. Operations now are mainly focused on mine closure requirements and environmental rehabilitation. There is also on-going prospecting in Woodlark Island and Mwatebu, Normanby Island. Wood carving, historically, has been an important art of the Milne Bay area. 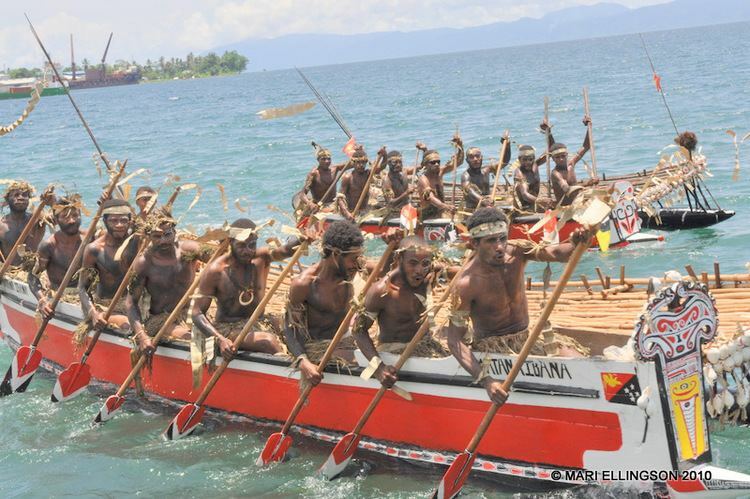 The Milne Bay peoples created canoes, called waga. When Charles Gabriel Seligman visited the area in 1904, he described the waga as playing "such an important part in the life of the district," and being a "decorative art" that has "reached its highest expression in the carvings of the ornaments for the prows of the waga." He also noted that they used similar designs on gourds from lime trees. Basket weaving was also common, with baskets called sinapopo being particularly representative of wealth in the region, to the point where they are buried with their owners upon death. Pottery was also common, specifically amongst the Tubetube, Ware and other tribes. Adze and axes were also common, for functional and ceremonial purposes. The people of Woodlark Island were knowing for their axes. Spears, and bows and arrows, were also used for weapons. One of the renown Suau master carvers in the 1800s is Mutuaga from Dagodagoisu. He has distinct lime spatula carvings or enali and carved man oitau. Miriam Kahns Always Hungry Never Greedy: food and the expression of gender in a Melanesian society, is set in a village in Milne Bay.